It is essential to have a sustainable food system; people want healthy, safe food to feed themselves and their family. The government is putting our food at increased risk by considering the deregulation of controversial gene editing techniques which may have a catastrophic impact on our already fragile food system. Twenty years ago, industrial agriculture released GM crops. One type is engineered to withstand sprays of herbicide, usually glyphosate based ones like Roundup, while the other type produces toxins that kill insects by destroying their stomachs. There have been large numbers of claims and counter claims about the success or otherwise of these crops. It is frequently framed as a scientific discussion with neither side able to resolve the controversy. Many people are unaware that approval of these GM crops is based almost exclusively on unpublished studies done by the GM companies. There have been minimal animal studies and no human trials. Pesticide usage has risen dramatically with GM crops (Benbrook)1. Argentina has decimated mixed agriculture and rainforest to grow vast acreages of GM soy for export as animal feed 2. These growing areas are experiencing increases in birth defects, cancers and other illnesses 3 . A recent UN report says pesticides aren’t necessary to feed the world, in fact, they are killing 200,000 people a year by acute poisoning and causing numerous diseases 4. Pollinators, including bees, are also killed by pesticides and without pollination the production of many crops collapses. Only a minor increase in yield is due to GM breeding, the majority of increases are due to conventional breeding and changed farming practices. Now the seed breeding industry, which is dominated by chemical companies’ like Monsanto, Bayer, Syngenta and Du Pont 6 says that new breeding technologies, like gene editing and CRISPR, will solve current agricultural problems. Industry claims that, although these techniques fall under the Cartagena Protocol and Codex definitions of biotechnology, they are not GM. I refer to these techniques as GM2 to highlight that they the next generation of GM breeding. I have been following the GM debate and the relevant science for over 20 years. Back then no one knew that a gene could produce several different proteins, or that many genes working together could produce one protein. It was assumed that one gene only ever made one protein. We didn’t know there was an epigenome that directs the expression of genes or that DNA is not the master molecule but that all parts of the cell influence each other. GM2 may say that it is only ‘editing’ the existing genes. It has been compared to cutting and pasting text in a computer. Genes and the cells that contain them are not a linear story line but complex interlinked networks that act, repeat and alter what they do depending on what every other part of the cell is doing. GM2 is a fantastically interesting and useful set of tools that are also extremely powerful. But how genes operate needs more study and GM2 ‘editing’ is an activity that should be confined to the lab and not used to produce food. Decisions about their use needs to be subject to democratic discussion and transparency. Considering their power, they need to be regulated. The level of regulation of GM2 is currently under consideration, although almost no one knows this. The Office of the Gene Technology Regulator has asked for submissions on what it calls a Technical Review 7 . FOI requests have revealed that the OGTR has been in consultation with the biotechnology industry for at least two years asking them to “make the case” for deregulation of these technologies. 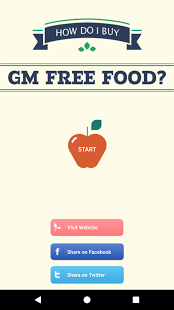 This means that plants, foods, animals and microbes developed using GM2 techniques would enter the food system with no safety testing, assessment, labelling or post market monitoring. Huge improvements to our soils and lives can be made. Regenerative farming allowed fig trees to begin fruiting within four months in salty, arid soils two km from the Dead Sea in Jordan 9. The degraded Loess Plateau 10 , known as the cradle of Chinese civilization, was brought back to life using the same regenerative techniques. Both projects used trenches to capture rainfall, so it soaked into the earth, allowing plants to survive. As the plants grew they shielded the ground, slowing evaporation and enabling more plants to thrive. When the plants die they return their carbon to the soil. The carbon feeds the organisms in the soil that flourish and encourage more plant growth. The land is enlivened and animals, birds, insects and streams return. Once we have protected the safety of our food we need to liberate it from the industrial system. Many farmers, people, businesses and organisations are already working towards this. Shoppers can support the farmers, food growers, shops, swaps,community gardens, seed banks, bee keepers and local food producers who are improving the world through agro-ecological methods. We also need to work together to effect change and ensure that political will, money and research time accelerates this transition to regenerative agriculture.